Building a Sun on Earth requires not only extensive heating systems but also large cooling systems for the removal of plasma heat from the tokamak. Fabrication of tokamak cooling water system piping is now underway at Schulz Xtruded Products in Robinsville and Hernando, Mississippi (US), with management oversight by the US Domestic Agency and the ITER Organization. 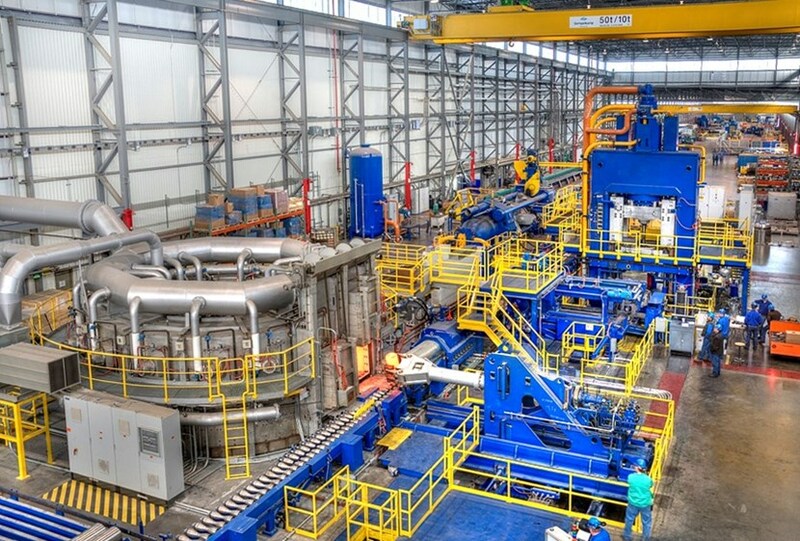 The Schulz Group of Companies began manufacturing of the first supply order of nuclear grade stainless steel piping for the tokamak cooling water system in November 2016. This initial batch, which represents only a small amount of the total 36 km of piping, serves to confirm that manufacturing procedures and processes are in place for compliance with the French Orders on nuclear pressure equipment (Équipements Sous Pression Nucléaires, ESPN, and Équipements Sous Pression/European Pressure Equipment Directive, ESP/PED). The Schulz Group of Companies, headquartered in Krefeld, Germany, has decades of experience in nuclear, oil, gas, and chemical plant industries, including providing industrial components for French nuclear facilities. Approximately 240 workers are based at the Mississippi plants, which were established in 2011. "US ITER has already successfully managed the design and manufacture of nuclear-class components for ITER; we even passed a day-long assessment by representatives of the French nuclear authority for safety of pressure components," says Jan Berry, the lead for the US ITER tokamak cooling water system team. "We are confident that we can continue to meet the rigorous French nuclear regulations." "At the ITER Organization, we have established an effective division dedicated to completing the piping procurement and the final design of the tokamak cooling water system," said Moustafa Moteleb, who heads the Tokamak Cooling Water System Division at ITER. 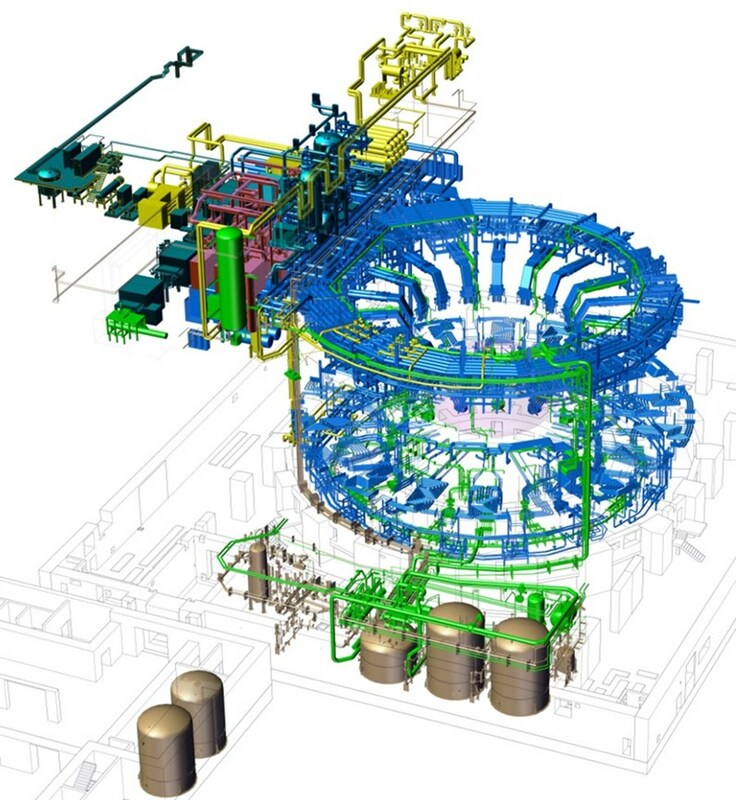 US ITER, managed by Oak Ridge National Laboratory, is responsible for the design and fabrication of the tokamak cooling water system, while the ITER Organization is under contract to US ITER for the completion of the final system design and piping procurement. "This approach ensures coordination during the design and delivery of components for the complex, one-of-a-kind, tokamak cooling water system, while assuring that the ITER nuclear operator fulfils its role of surveillance as required under French law," said Moteleb. To support construction sequencing, US ITER delivered five nuclear-grade drain tanks for the tokamak cooling water system to the ITER site in 2015. Fabrication of nuclear-grade piping builds on this experience. The tokamak cooling water system is a one-of-a-kind nuclear system that is similar in complexity and scope to the cooling systems in a commercial nuclear power plant. The cooling system will have the capacity to remove up to a gigawatt of heat from ITER systems. For perspective, a gigawatt—one billion watts—provides enough power for the needs of a small city. The cooling system also provides capabilities that are not used in power plants, such as baking and drying in-vessel components, leak detection, and tokamak maintenance. The system will interface with the secondary cooling system, provided by India, as well as with other ITER plant systems.